Having trouble with your iPhone is not common to many, but some people may encounter issues here and there. In trying to fix them, factory resetting an iPhone is usually the last option that one should attempt as it leads to a complete erasure of all your data and settings, and many users may want to factory reset iPhone without computer. Part 3: Can Data from A Factory Reset iPhone Be Recovered? One can never at any one time be careless about his/her iPhone privacy especially in case one wants to recycle resell or donate it. 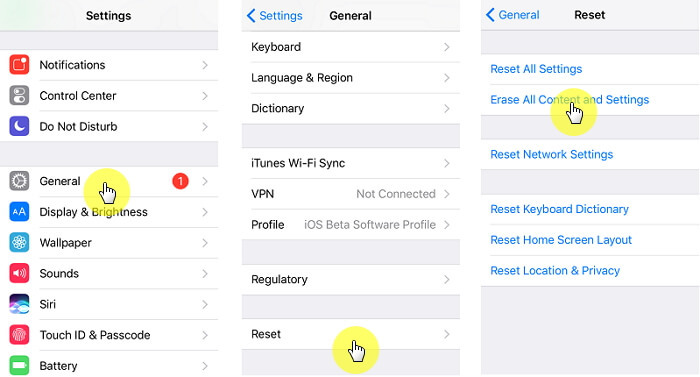 Hard resetting an iPhone directly from iPhone settings compromises the privacy part as it leaves traces of your private data which can be recovered using third party tools. Anyone who considers privacy as a priority can consider using the iMyFone Umate Pro or iMyFone Umate Pro for Mac. However, this method calls for a computer. 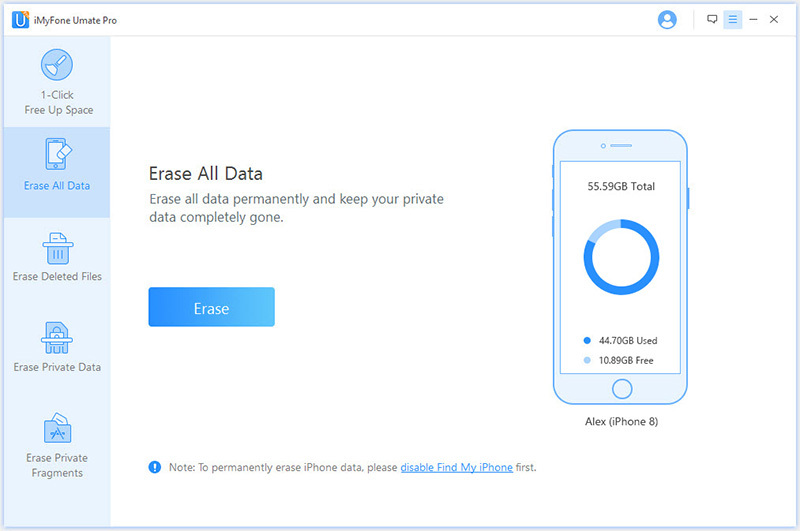 iMyFone Umate Pro has the capability of keeping your personal files and data secure by erasing all your private files and information and leaving a zero chance of recovery by any tool or organization, including the FBI! It weeds out all the private fragments ensuring that the recipients of your iPhone can never retrieve the data. 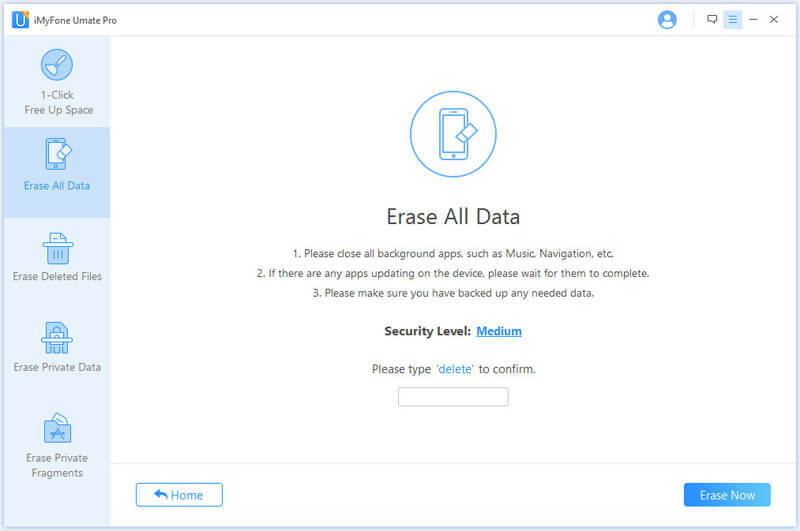 Permanently wipe your iPhone’s iOS data including messages, contacts, notes, reminders, pictures, and videos etc., with no chance of recoverability. Erase private data for third-party apps such as WhatsApp, WeChat, Kik, Viber among others which might leak your accounts information if not wiped out altogether. Erase also previously deleted files to make sure all your infos is totally secure. Step 4. Once the process finishes, all your iPhone data will have been erased and will be 100% unrecoverable. Can Data from A Factory Reset iPhone Be Recovered? This is a question that many who want to recycle, resell or donate their iPhones to new owners ask themselves. Privacy is a major concern as there are tons of sensitive data and personal information (contacts, notes, reminders, pictures, and videos) that are very relevant to our daily lives, which we would not want to be compromised. Well, there is a possibility of recovering that data especially if you reset your iPhone directly from iPhone settings. This method wipes data only ones and never overwrites on it ending up leaving private fragments that can be recovered using the right recovery tools such as third-party applications. However, all is not lost. For those whom privacy is a primary concern, there is a way of ensuring that the private data can never be retrieved by anyone using the iMyFone Umate Pro. Factory resetting your iPhone will be much safer using the Umate Pro as it erases all kinds of iOS data multiple times and even overwrites on it, leaving no possibility of recovery even by the right recovery tools. All in all, one should be very careful when choosing the method to use when hard resetting your iPhone so that you can sell or recycle your iPhone securely, without worrying about exposing your personal information.